We survived the Mayan destruction. You should pat yourself on the back. Now reward yourself with some eye candy. My whole Christmas list has just been replaced with all the loveliness found here. I am literally “pine-ing” over it all. Someone get me a drool cloth. Onto my last Christmas edition of Friday Favorites….I might cry. That banner is amazing, especially with the little bells stringing along. 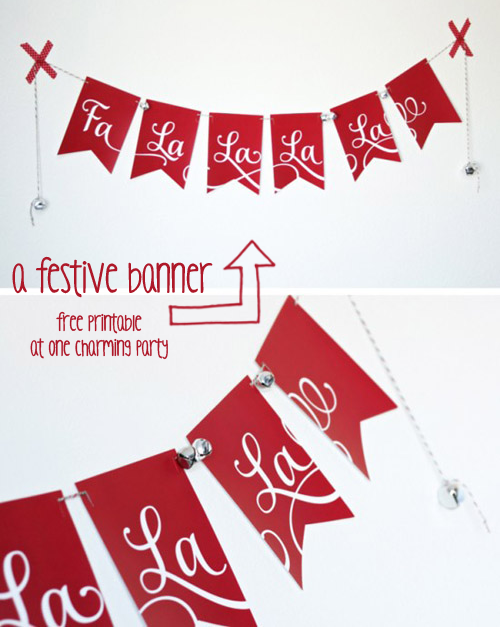 The best part about this festive banner is that you can make your own. The printables are all yours here. 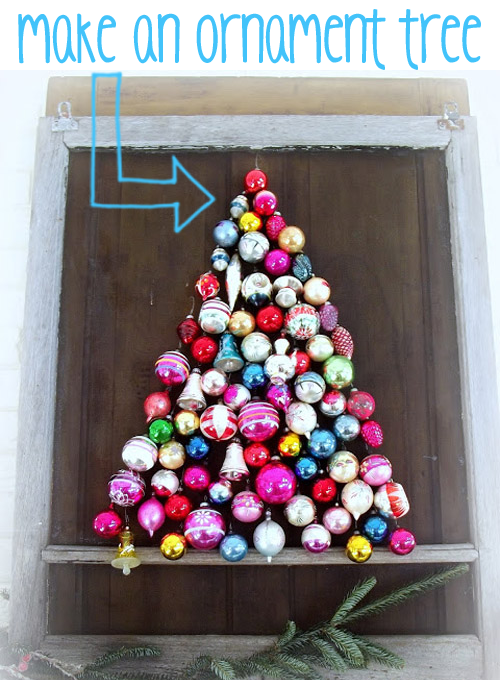 I am not sure what I love more…the colors or the creativity of using ornaments and a screen door to make a beautiful tree. I am now on the hunt for screen doors. Oh my adorable, talk about an awesome gift for a teacher or neighbor. 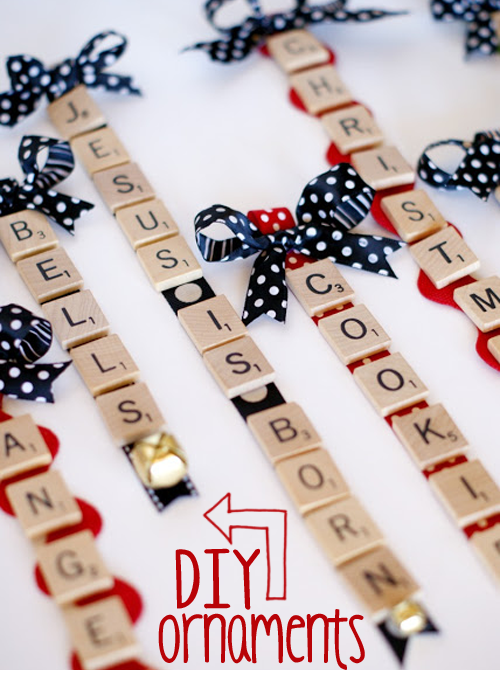 Using all of those scrabble pieces and some pretty ribbon you can have the cutest ornaments on the block. Look at those tusks….are you in love. Would you believe it is just a recycled toy and and old book? Put a little time and love in and you just made the best gift ever for your bookworm friend. 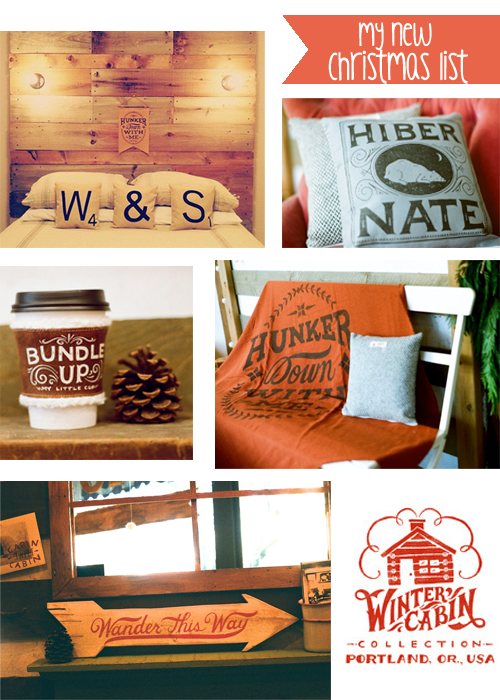 I really love all the up-cycling going on in the blogosphere lately. What did you find on the web this week….anything good? 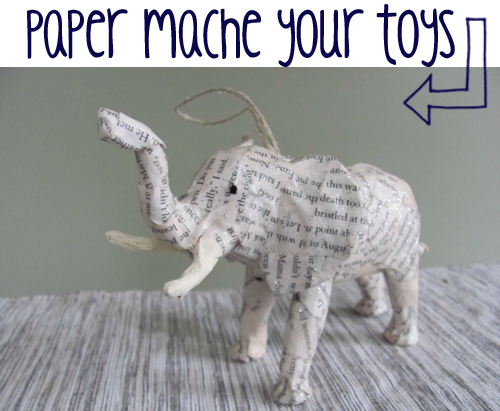 Paper Maching your toys?! Holy cow – that is awesome. My nephew would love a few of those. And that hibernate pillow? Need it immediately. I might have to add it as a last-minute Christmas gift request. I know right! And I feel like that would be so easy…I mean if I could paper mache when I was 5 I am sure I can do it now right? Elephant!! Must. Make. Now! I need like 17 of those in various colors of the rainbow in addition to the book page style. Obviously. Well, obviously 🙂 They are so cute right…and cheap!! !